Mario Andretti wrapped up his third win of the season at the Italian Grand Prix but Niki Lauda's second place was enough to all but secure him his second world championship. 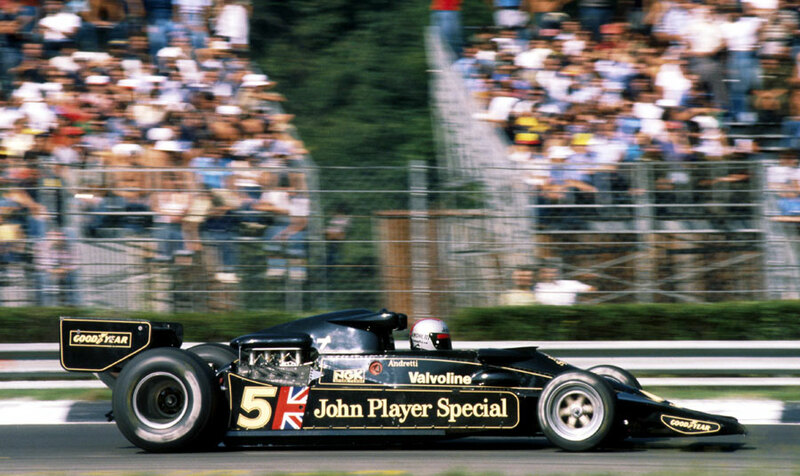 With three grands prix remaining, only Jody Scheckter could catch him, and even then he needed to win all the races and hope Lauda failed to secure a point. All weekend the hugely partisan crowd had cheered Lauda - although not as enthusiastically as they might have been had he not earlier in the week announced his intention to quit Ferrari - and even though he did not take pole, they were euphoric that the second Ferrari of Carlos Reutemann sat alongside pole-sitter James Hunt on the grid. Scheckter, knowing only a win would suffice, made the best start and led away with the Ensign of Clay Regazzoni taking second from Hunt and Andretti. Regazzoni was soon passed by the chasing pack, but on the tenth lap Andretti took the lead from Scheckter and thereafter he slowly pulled away from the field. Scheckter's day ended when his engine blew on the 24th lap, and then Reutemann, in third, spun off after hitting fluid from the blown engine of Bruno Giacomelli's McLaren. Hunt's miserable season continued when he spun off, dropping from third to eighth, and then retiring after suffering front-end vibration. Sadly, one spectator was killed and 50 injured when an advertising hoarding collapsed before the race. Speculation Andretti might join Ferrari grew when two days after the race he visited the team's Maranello base for chats with Enzo Ferrari. Ten days later he announced he would stay put with Lotus.